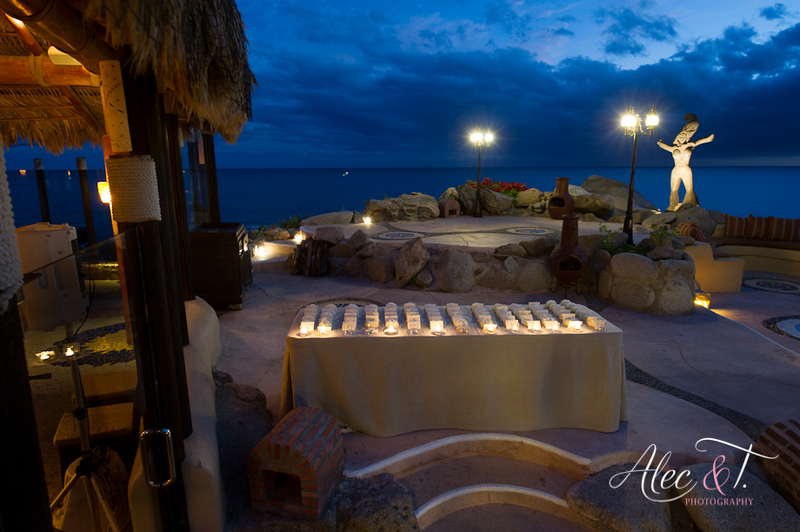 We are so excited to share this tasteful, refined New Year’s Eve destination wedding with you! 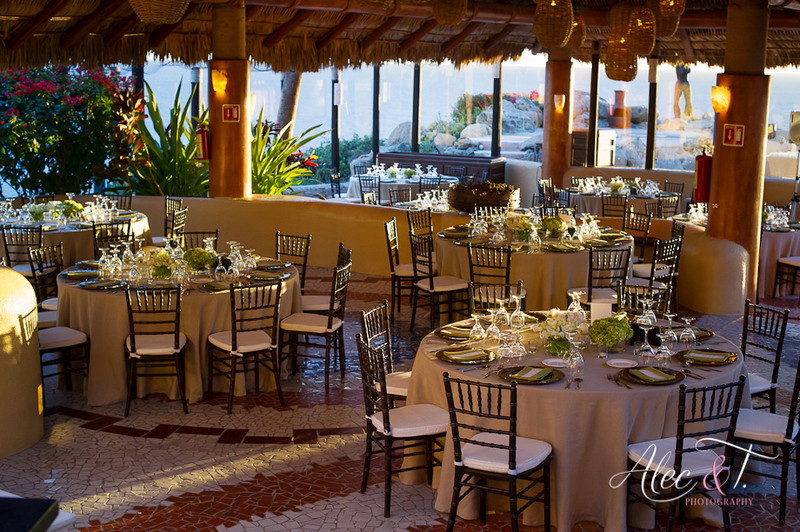 Tad and Jonathan came all the way from New York with a vision of clean, masculine décor for their Cabo San Lucas reception at Sunset da Mona Lisa. The pair’s lime green and natural linen color scheme was a perfect choice for a chic beachside reception. We customized almost every piece for this couple, including burlap pillows and a handmade cake table runner with natural burlap and lime green linen fabric. 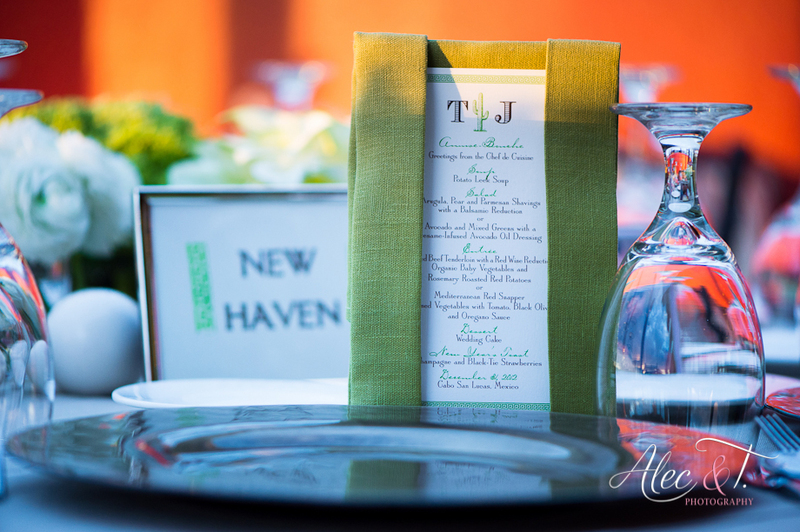 Tad and Jonathan wanted a napkin that would beautifully display their designer dinner menus, so we also customized a lime green 100% linen napkin and spent two days ironing and perfecting the fold. When Tad wrote us recently and commented, “Everything was immaculately clean, crisp and pressed,” we were delighted to hear our hard work left such a lasting impression! Tad and Jonathan, thank you for trusting us with your big day! 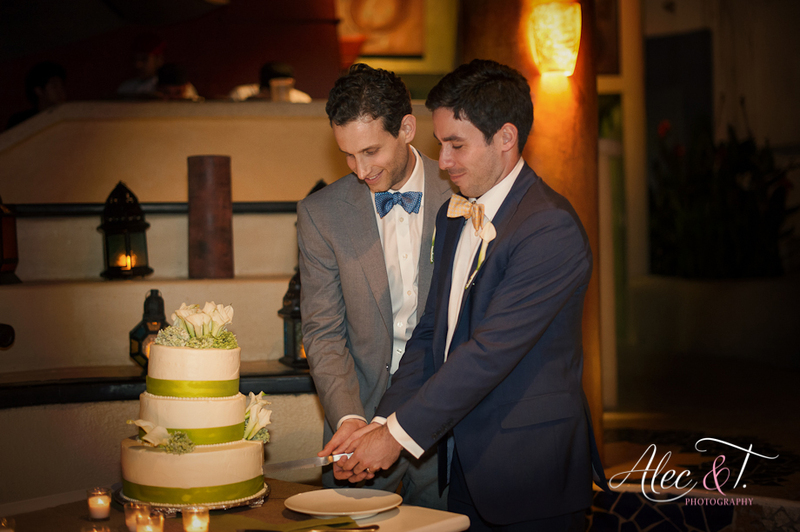 We are proud to have worked with such a lovely couple and feel honored that we were a part of your celebration of love! This entry was posted in Accessories and decor, Be That Bride Events, Cabo event design and decor, High end set-ups, Linen collection 2012, Sunset Da Mona Lisa, Wedding flowers Cabo, wedding locations in Los Cabos and tagged Cabo decor, CABO LINENS, cabo wedding, destination wedding Cabo, Event decor, high end wedding, Sunset Da Mona Lisa Cabo, Wedding design.